Windsor Gardens is the only active retirement community located in the city of Denver, Colorado. It is nestled on 143 acres amid sprawling lawns, blooming gardens and towering trees. 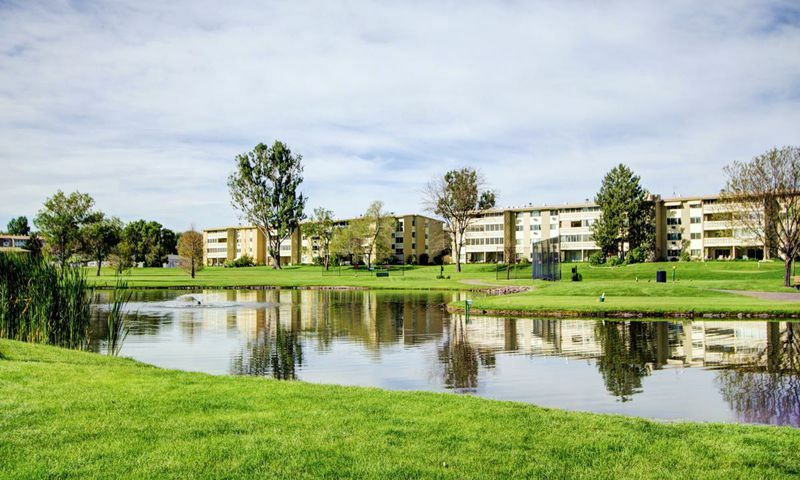 It is surrounded by Denver's finest neighborhoods, and only minutes away from shopping, dining and cultural activities.Windsor Gardens in Denver, Colorado is home to over 3,500 residents in 2,689 homes. The community was built between 1962 and 1973. The homes in Windsor Gardens are notorious for their affordability, which are among the most reasonably priced of any active adult community in the Denver area. Residents relish their proximity to the exclusive Cherry Creek Mall and downtown Denver. There is a 24/7 security patrol and a shuttle service that transports Windsor Gardens residents to area attractions and stores. Life at Windsor Gardens in Denver offers exciting new opportunities everyday. The 35,000 square-foot clubhouse is the community's main attraction. It offers indoor and outdoor pools, a fitness center, hobby rooms, aerobics studio, restaurant, library and more. Outside, there are scenic walking and biking trails and sports courts. Windsor Gardens is situated around Emerald Greens Golf Course & Club. Golf enthusiasts enjoy many membership options to tee up at the 9-hole golf course, practice on the chipping and putting greens, and apparel at the pro shop. Homebuyers at Windsor Gardens in Denver, Colorado can choose from attached townhome and condo residences that range from 720 to 2,145 square feet. Homes range from one to four bedrooms with attached and detached garages. There are 84 four-story and 20 two-story condo buildings throughout Windsor Gardens, and just 48 attached townhomes.Association fees include full use of the amenities, access to classes, common grounds maintenance and building maintenance, which includes building insurance, water, sewer and trash. The fee also covers all property taxes and heat. The only fees incurred by homeowners at Windsor Gardens are utilities such as electricity, phone, cable and internet. An activities coordinator is on site in Windsor Gardens to ensure there is a continual lineup of new and exciting activities, trips, classes and events. Whether you want to meet with your bridge club, travel to the latest exhibit at the museum or spend the day golfing with your friends, there is truly something for everybody at Windsor Gardens. Windsor Gardens is situated in Denver, the largest city and capital of Colorado. The entrance to this active adult community is located on Alameda Avenue and Clinton Street. Windsor Gardens in conveniently located in Central Denver close to many attractions, museums, and outdoor recreation opportunities. Traveling farther away from Colorado is a breeze because the Denver International Airport is about 25 minutes away from the community. Residents enjoy living in a central location that provides easy access to Aurora as well. Windsor Gardens is an established active adult community located in a desirable area with great amenities. Residents of Windsor Gardens enjoy their very own private clubhouse and amenities. Clubhouse - 35,000 Sq. Ft.
Windsor Gardens winds around Emerald Greens Golf Course & Club. This semi-private course offers resident and non-resident memberships. There are plenty of activities available in Windsor Gardens. Here is a sample of some of the clubs, activities and classes offered here. There are four-story and two-story condo buildings spread throughout Windsor Gardens. There are approximately 10 different floor plans to choose from that range from 720 to to 2,145 square feet. Buyers can select from one, two, or three bedroom condos. Most units include attached or detached garage parking spaces. There 48 attached townhome-style dwellings in Windsor Gardens. The townhomes are two-story buildings with no basement. All townhomes include two to three bedrooms and attached two-car garages. Windsor gardens is an absolutely terrible investment. They yearly raise HOA fees by 10 % local relator have advised me that if this continues it will utterly destroy home values because potential new buyers will not invest in condos with extremely high HOA Fees. Also the private police force only harasses residents there. Management does not live in Windsor gardens so they don't care how much money seniors have to paid there. They are exploiting senior citizens. Board of directors does nothing to stop increasing HOA fees. DON'T BUY A WINDSOR CONDO! Do not waste your money on Windsor Gardens property. Windsor Gardens are often referred to as the best kept secret in Denver for retirement. Certainly, the least expensive. It's 50 year age may be a draw back for some, and the plumbing is not set up for laundry in individual but many of the units are being renovated with beautiful results. The level of care to the grounds and gardens in the summer and the quick snow removal in the winter is also impressive. For those who like to take long walks or bike rides, the Canal Trail runs right behind Windsor Gardens and is wooded and complete with wildlife. Stores and shopping are within a mile and Public Bus lines run through the Gardens. My mother moved in first. I saw how reasonable cost was so I moved in while I am still working to save more for retirement. I was astounded to find how many people have been here for over 20+ years and love it! They wouldn't dream of going elsewhere. Many younger retirees are on their way in, so it shouldn't be a drawback to those who want a younger crowd. They're here too. The amenities are very good, and people are friendly and warm. I don't golf, but many people do, and say it's a nice course. We have plays, movie night, and so many things to do and trips to take. Unless your a recluse, there's plenty to do, and fun to had. I visited Windsor Gardens because someday I would like to retired there. Soon I arrived to see some condos I fell in love with this place. The people were nice and the area was clean and beautiful. peace and quiet all around. I have been at Windsor Gardens for a few years now and have really enjoyed it. I got a really great deal on my home and was able to stick within my tight budget. The location is nice and keeps me just a short trip from my two grandkids. I have tried out a lot of the clubs and have met a lot of wonderful women and made lots of new friends. 55places.com is not affiliated with the developer(s) or homeowners association of Windsor Gardens. The information you submit is distributed to a 55places.com Partner Agent, who is a licensed real estate agent. The information regarding Windsor Gardens has not been verified or approved by the developer or homeowners association. Please verify all information prior to purchasing. 55places.com is not responsible for any errors regarding the information displayed on this website.